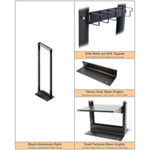 Gruber Free Standing Rackmounts will keep your equipment clean, safe, and in good operating condition. By housing your server in a free standing server rack, you can ensure your important electronic equipment will remain in top condition and will stay free from harm caused by outside elements. This four post rack can be mounted with all standard rack or cabinet mount shelves, panels, or cable management accessories. 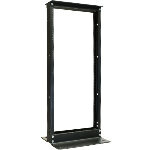 This two post, 19" x 7' open frame, relay rack can be mounted with all standard rack or cabinet mount shelves, panels, or cable management accessories. 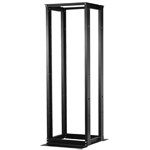 This two post, 19" x 4' open frame rack available in either Black or Mill Finish has unparalleled versatility and provides plenty of space for all 19" compatible mounting products. 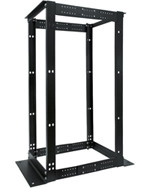 Gruber Communication Products offers a high-quality selection of free standing server rack solutions that will allow you to properly house your rackmount server. Whether you work for a big company or are starting your own business, if you rely on technology to get the job done, then you already know how important it is to have a working server in good condition. By offering a great selection of rackmount stands, Gruber Communication Products aims to help you stop worrying about whether or not your electronics are secure and are being well taken care of, and frees you up to focus on the day-to-day operations of your business. 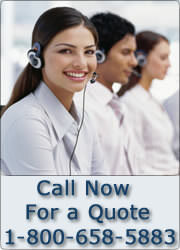 Now you can do what you need to do, when you need to do it, with the added assurance that your electronic equipment is being properly taken care of.